Help to keep Lurgashall a lovely place to live! discover new ways of supporting and contributing to our community. Whether you’ve lived here 50 years or 5 weeks, your views and input are equally important, so do please come along and help us keep Lurgashall a lovely place to live! 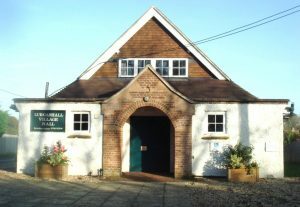 Did you know that Lurgashall Village Hall hires out its furniture, crockery, cutlery, glassware and almost anything else (but the kitchen sink!) that you might need for your summer party? Have a look at our list of equipment for hire and our charges. Our rates are very reasonable indeed. Andy Serkis’s directorial debut about the life of pioneering polio survivor Robin Cavendish is heartwarming and heartbreaking in equal measure. Part exuberant love story, part great escape adventure, this is an old-fashioned tale of triumph over adversity that refuses – like its protagonists – to succumb to confinement. This is a true story and stars Andrew Garfield as Robin, Claire Foy as his wife, with Tom Hollander and Hugh Bonneville in support. Peter & Amanda Worrall were one-time neighbours of the Cavendish family and knew Robin well. They have kindly agreed to tell us a little about Robin at the start of the film. The year is 1926, and Newt Scamander (Eddie Redmayne) has just completed a global excursion to find and document an extraordinary array of magical creatures. Arriving in New York for a brief stopover, he might have come and gone without incident, were it not for a No-Maj (American for Muggle) named Jacob, a misplaced magical case, and the escape of some of Newt’s fantastic beasts, which could spell trouble for both the wizarding and No-Maj worlds. You don’t have to be a Harry Potter fan to enjoy this magical fantasy with incredible special effects and a gripping story. Come and be amazed! 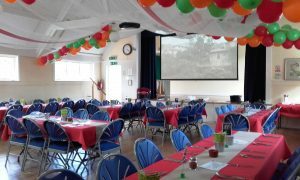 January is always a quiet month in the village, but we still have our regular monthly events at the Village Hall for villagers and visitors alike. 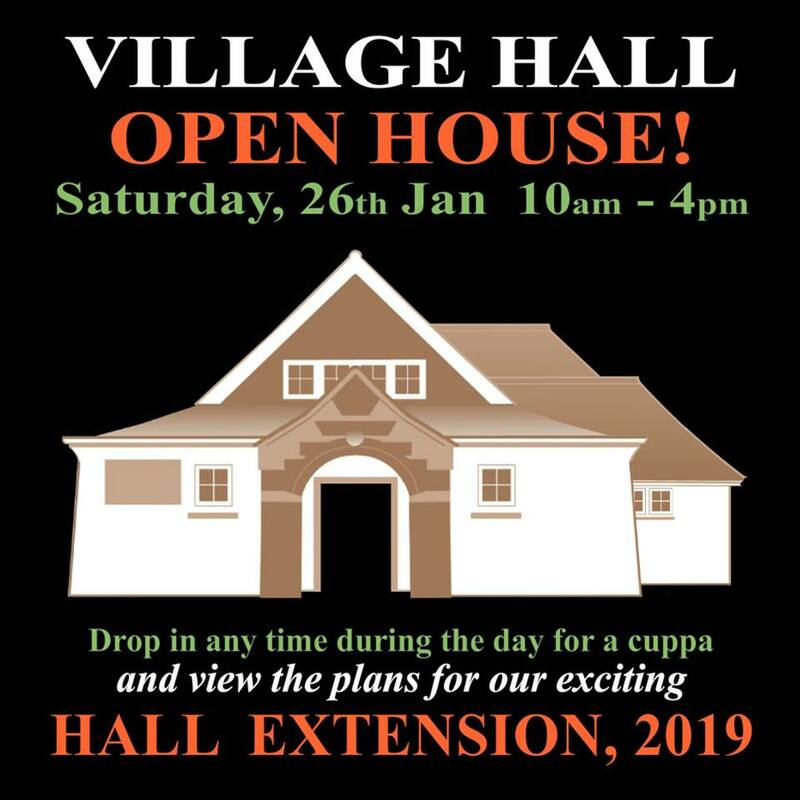 We are also opening our doors to everyone to come and pop in to the Village Hall Open House on Saturday 26th January 10am-4pm, as part of National Village Halls Week. We are delighted to announce that Pilates teacher Eliza Wheeler is restarting Monday evening Pilates at Lurgashall Village Hall in January. Eliza says: “I look forward to welcoming back those who attended last time, and I would love to invite people who are yet to try it out (a great New Year’s Resolution!). “As a Physiotherapist I think Pilates is a wonderful form of exercise, and everyone can benefit from it in some way. The focus is on strengthening up the ‘core’ – improving strength centrally makes the bits on the outside function better! We also work on flexibility, balance and posture. The benefits of regular Pilates include not only toning legs, bums and tums, but also helping to reduce and prevent back pain. Please contact Eliza on 07929 365088 or email eliza.wheeler@hotmail.co.uk if you would like to attend or have any questions. January class dates are: Monday 7th; Monday 14th; Monday 21st, Monday 28th. All 7.15-8.15pm. In order to comply with General Data Protection Regulation (GDPR), effective from 25th May 2018, Lurgashall Village Hall Management Committee requires the consent of any potential or actual hirers of the Hall who give personal information in their booking form. Only relevant information is requested in order to facilitate your hire of the Hall or its equipment, or your participation in Hall events. Your personal information data will never be shared with a third party. If you are a hirer and complete a booking form, you are consenting to us holding and using your data in this way. You may request its amendment or deletion at any time.